Date/Time - 21 Apr 2018 (Saturday), 8:30 a.m. – 5 p.m. 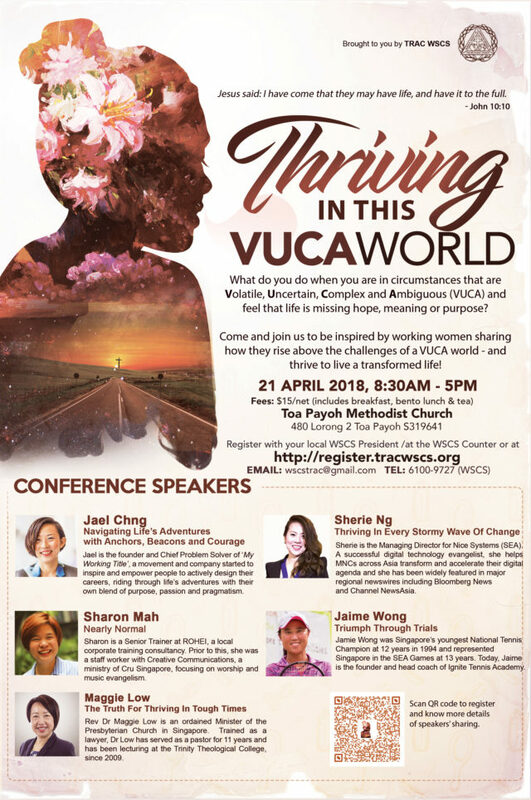 Description - Come and be inspired by working women sharing how they rise above the challenges of a Volatile, Uncertain, Complex and Ambiguous (VUCA) world – and thrive to live a transformed life! Speakers for this year’s Conference will share their testimonies on how God has led them in their personal journeys despite disruptions, and how He remains in control even as they find their footing in this volatile modern world. Organised by Trinity Annual Conference Women’s Society of Christian Service (WSCS). Fee: $15 nett per person. Fees include breakfast, lunch, and tea break. 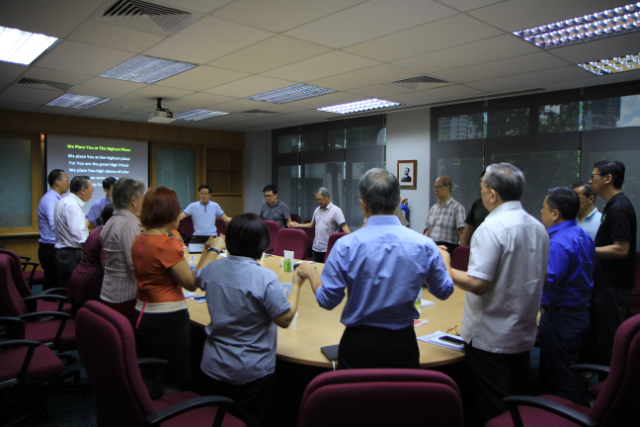 Participants will be given conference-related materials, including a VUCA booklet with testimonies of the speakers, a book Uncovering The Truth – An Attempt to Disprove Christianity written by speaker Jaime Wong, and a Gideon New Testament with Psalms & Proverbs Bible. Registration begins on 4 Mar 2018 and closes on 8 Apr 2018. 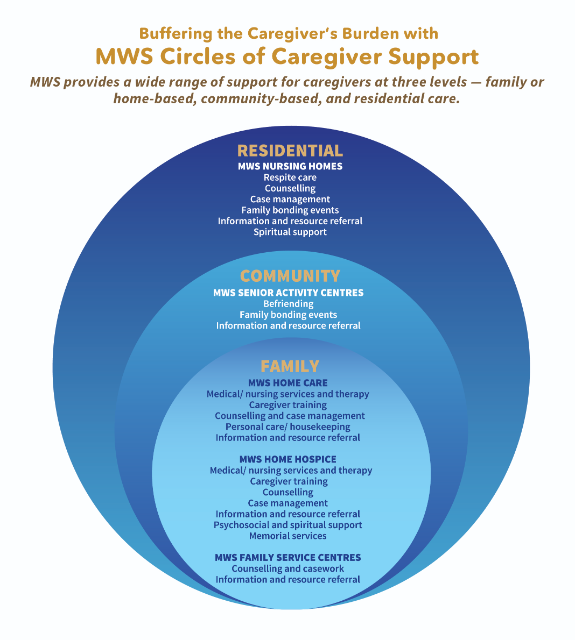 For more details and to register, please write to wscstrac@gmail.com or call 6100-9727.